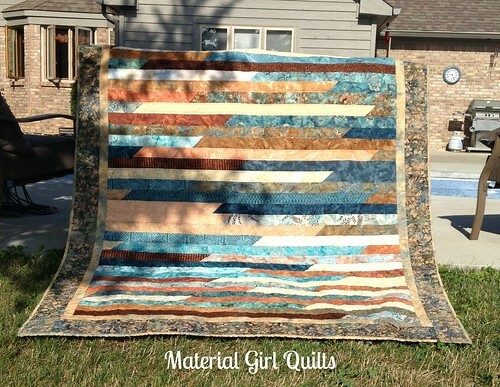 I am a bit embarrassed to share this quilt with you today because if you've been following my blog from the beginning, you know that I finished quilting it A FULL YEAR AGO! (Okay, technically 1 year and 15 days ago ;-)) Shameful! I really have no good excuse for not getting the binding on this quilt until now, but I'm so happy that I FINALLY did it. 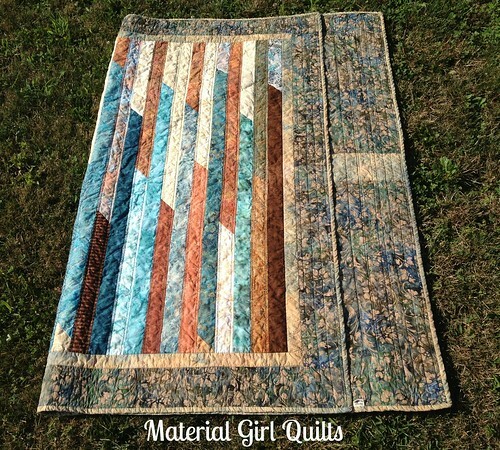 This quilt was pieced using the 1600 inch quilt method for jelly rolls or strips sets. You can learn all about it here. The fabric strip set that I chose is by Timeless Treasures and since it has been so long, I can't remember what the name of the set was called. I don't believe they make it any longer. 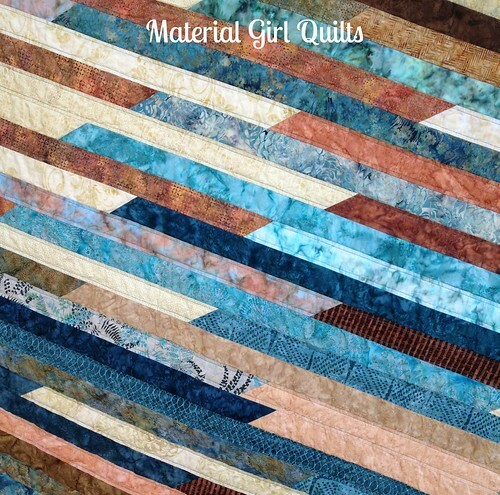 I was thinking when the latest batik jelly roll arrived for the shop that it would make a great strip quilt too...so full of beautiful bold colors! 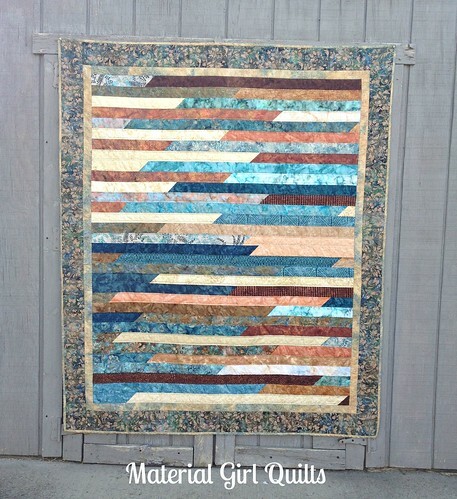 The quilting is simple echo 1/4" inside the seams of every other strip. I also quilted in the ditch on each side of the inside border and then about every 1" all the way around the outside border. 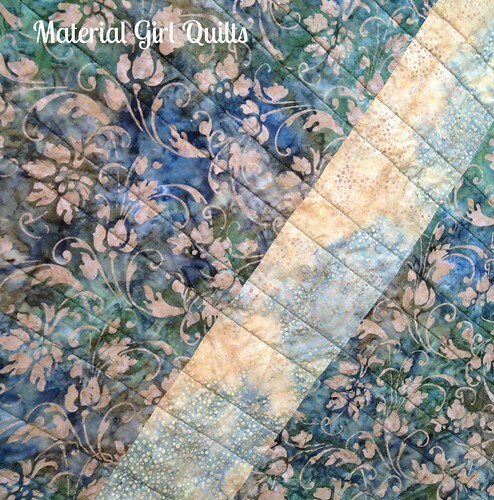 This simple quilting left it with a wonderfully snugly texture. 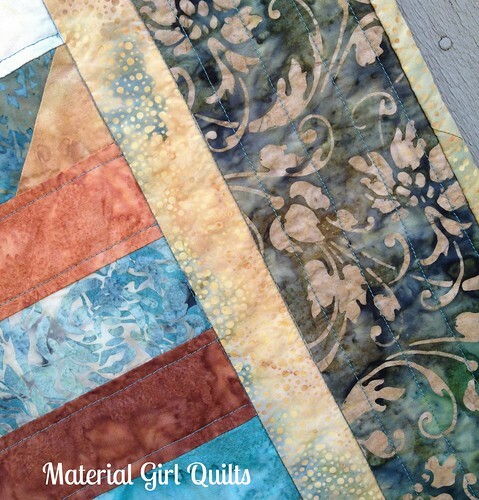 I just LOVE the outside border and main backing fabric. The quilt finished at roughly 58" x 70". I didn't have quite enough of the fabric to make the back all the same, but I kind of love the accent strip down the center. It matches the binding/inner border fabric and pulls it all together nicely. 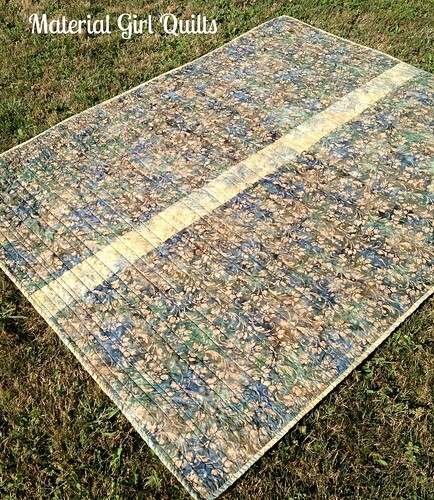 So, are there any of these quilts in your closet just waiting to be bound and loved? Please tell me I'm not alone!